Is e a' chiad leabhar Beurla a tha suidhichte ann an Gàidhealtachd na h-Albann The Highland Rogue, agus nochd e ann an 1723. Is e Rob Ruadh MacGriogair (1671-1734) prìomh-charactair na sgeulachd seo, is i a' dèiligeadh ris an strì eadar Rob Ruadh agus Seumas Greumach (1682-1742), an 4mh Marcuis Montrois a bha gu bhith na Dhiùc bho 1707 air adhart. Chan eil fios againn an diugh cò a sgrìobh i. Fad iomadh bliadhna, theireadh sgolairean gur e Dainiel Defoe, ùghdar Robinson Crusoe (1719), a sgrìobh i, ach thathar an diugh den bheachd gur e Elias Bockett a sgrìobh i, a chionn 's gum faighear E.B. sgrìobhte ann an sean-eagrain an "Rògaire Ghàidhealaich" - chaidh sanas mu fhear dhiubh fhoillseachadh le Taigh-Reice Christie's ann an Lunnainn o chionn ghoirid, is e chun a reic air £ 956.-. Bhon nobhail sin air adhart, bhiodh Rob Ruadh Griogarach na ghaisgeach gu bràth fiù ann an saoghal na Beurla. B' esan "Robin Hood nan Gàidheal" do na h-Albannaich, agus "Schinderhannes nan Gàidheal" do na Gearmailtich, ged is e seòrsa Mìcheal Kohlhaas a bh' ann cuideachd. Is e sin prìomh-charactair nobhail beag an sgrìobhadair Ghearmailtich Heinrich von Kleist (1777-1811) a bha stèidhte air tachartasan eachdraidheil cuideachd. Ann am Prionnsabalachd Brandanburg na 16mh linn, chaidh an ceannaiche-each Hans Kohlhase (1500-40) a chreachadh leis an ridire Zaschwitz a ghoid dà each bhuaithe nuair a bha an ceannaiche air an rathad do Fhèill mhòr Leipzig. Ann an nobhail beag Kleist, rinneadh Mìcheal de Hans (Iain), agus ridire Tronka de ridire Zaschwitz (John Oxenford, C.A. Feiling (l.-d., eadar-th.) Tales from the German. Comprising Specimens from the Most Celebrated Authors (New York: Harper & Brothers, 1844), pp. 165-230; f.c. Kuno Francke, Isidore Singer (l.d. ), Frances H. King (eadar-th. ), The German Classics: Masterpieces of German Literature translated into English (New York: The German Publication Society, 1914), pp. 308-415) Agus mar a chreach Zaschwitz an ceannaiche-each Kohlhaas, is ann a chreach Diùc Montrois an ceannaiche-cruidh Rob Ruadh MacGriogair. Bha Rob ann am fiachan air an Diùc bhon a theich drobhair dhà le £ 1000. Dh' fhaoidte gun robh sgoilearan-litreachais den bheachd gur e Dainiel Defoe (mu 1660-1731) a sgrìobh The Highland Rogue, a chionn 's gun robh Defoe ann an Albainn ann an 1706-08 mar bheachdair do Riaghaltas Sasainn agus fear-taic Aonadh nam Pàrlamaid. Ach bhon a fhuaras E.B. sgrìobhte fo roimh-ràdh an leabhair ud, mar a chuir mi sìos an seo cheana, tha e na 's cosmhuile gur e Elias Bockett (1695-1735) a sgrìobh e. Chan fhaighear fios, ge tà, an robh esan ann an Albainn riamh. Is e 'n tiotal iomlan a bh' air an leabhar: The Highland Rogue: or, the memorable actions of the celebrated Robert MacGregor, commonly called Rob Roy (Lunnainn: J. Billingsley, J. Roberts, A. Dodd & J. Fox, 1723). Chaidh fiolm a stèidheachadh air an leabhar seo ann an 1953, is e sin Rob Roy the Highland Rogue a chaidh a dhèanamh le buidheann-fiolm Bhaltair Disney agus anns an robh na peathraichean MhicLeòid, Ceit (1914-2000) agus Marietta (1926-83), a' seinn puirt a beul aig banais Rob Ruaidh. Bha Fionnlagh MacMhuirich (1878-1968) anns an fhiolm seo cuideachd, agus balaich Rèisimeid Earra-Ghàidheal agus Cataibh. Das erste englischsprachige Buch, das im schottischen Gälentum spielt, ist The Highland Rogue, erschienen 1723. Die Hauptfigur der Geschichte ist Rob Roy MacGregor (1671-1734), und sie handelt von der Fehde zwischen Rob Roy und James Graham (1682-1742), dem 4. Marquis von Montrose, der von 1707 an Herzog sein sollte. Wir wissen heute nicht, wer sie geschrieben hat. Mancherlei Jahr lang sagten Gelehrte, Daniel Defoe, der Autor des Robinson Crusoe (1719), hätte sie verfasst, doch ist man heute der Auffassung, dass Elias Bockett sie verfasste, weil man in einer alten Ausgabe des "Hochlandhalunken" die Initialen E.B. fand - eine Anzeige zu einer solchen wurde kürzlich vom Auktionshaus Christie's aufgegeben, für £ 956,- soll sie verkauft werden. Seit jener Novelle war Rob Roy selbst im englischen Sprachraum für immer ein Held. Er war "der Robin Hood der Gälen" für die Schotten, und der "Schinderhannes der Gälen" für die Deutschen, obwohl er auch eine Art Michael Kohlhaas war. Jener ist die Hauptfigur einer Novelle des deutschen Schriftstellers Heinrich von Kleist (1777-1811), die ebenfalls auf historischen Ereignissen beruhte. Im Fürstentum Brandenburg des 16. Jh. wurde der Pferdehändler Hans Kohlhase (1500-40) vom Junker Zaschwitz ausgeplündert, der ihm zwei Pferde stahl, als der Händler unterwegs zur grossen Leipziger Messe war. In der Kleistschen Novelle wurde aus dem Hans ein Michael, und ein Junker von Tronka aus Junker von Zaschwitz (Hch. von Kleist, Michael Kohlhaas, Universal-Bibliothek Bd. 218, 2. Aufl. (Stuttgart: Reclam, 1993), vgl. Günter Hagedorn, Hrsg., Michael Kohlhaas, Erläuterungen und Dokumente Bd. 8106, 2. Aufl. (Stuttgart: Reclam, 1993)). Und so wie der Junker von Zaschwitz den Pferdehändler Kohlhase plünderte, so plünderte der Herzog von Montrose den Viehhändler Rob Roy MacGregor. Rob hatte Schulden beim Herzog, weil einer seiner Viehtreiber mit £ 1000 durchgebrannt war. Vielleicht dachten Literaturwissenschaftler, dass Daniel Defoe (ca. 1660-1731) The Highland Rogue geschrieben hatte, weil Defoe 1706-08 in Schottland war als englischer Spion und Agent der Union der Parlamente. Doch seit man E.B. unter dem Vorwort jenes Buchs fand, wie ich hier bereits erwähnte, ist es wahrscheinlicher, dass Elias Bockett (1695-1735) es verfasste. Man weiß jedoch nicht, ob jener je in Schottland war. Der vollständige Titel des Buchs lautet: The Highland Rogue: or, the memorable actions of the celebrated Robert MacGregor, commonly called Rob Roy (London: J. Billingsley, J. Roberts, A. Dodd & J. Fox, 1723). Ein Film ist 1953 nach diesem Buch entstanden, Rob Roy the Highland Rogue, gedreht von Walt Disneys Produktionsfirma, in dem die MacLeod-Schwestern, Kitty (1914-2000) und Marietta (1926-83), gälische Tanzlieder auf Rob Roys Hochzeit sangen. Finlay Currie (1878-1968) war ebenso in diesem Film, wie auch die Jungs der Argyll and Sutherland Highlanders. The first English-language book set in Scottish Gaeldom was The Highland Rogue, which appeared in 1723. 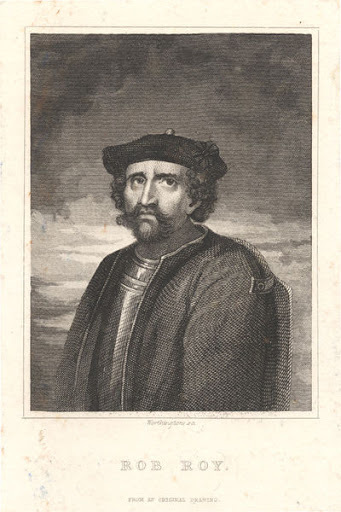 The main character of the story is Rob Roy MacGregor (1671-1734), and it deals with the feud between Rob Roy and James Graham (1682-1742), the 4th Marquess of Montrose who was to be Duke from 1707 onwards. We do not know nowadays who wrote it. For many a year scholars said that Daniel Defoe, the author of Robinson Crusoe (1719) had written it, but today one is of the opinion that Elias Bockett wrote it, as the initials E.B. were found to be written in an old copy of the Highland Rogue - an advertisement for such a copy was published recently by Christie's auctioneering house, to be sold for £ 956.-. Since that novelette, Rob Roy was a hero even in the English-speaking world. To the Scots, he was "the Robin Hood of the Gaels"; to the Germans, he was the "Schinderhannes of the Gaels", though he was also a kind of Michael Kohlhaas. That was the main character of a novelette by the German writer Heinrich von Kleist (1777-1811), which was also founded on historic events. In the principality of Brandenburg of the 16th century, the horse trader Hans Kohlhase (1500-40) was robbed by the laird of Zaschwitz who stole two horses from him when he was on the road to the great fair of Leipzig. In Kleist's novelette, Hans was turned into Michael, and the laird of Zaschwitz was turned into the master of Tronka (John Oxenford, C.A. Feiling (eds., transl. ), Tales from the German. Comprising Specimens from the Most Celebrated Authors (New York: Harper & Brothers, 1844), pp. 165-230; s.a. Kuno Francke, Isidore Singer, The German Classics: Masterpieces of German Literature translated into English (New York: The German Publication Society, 1914), pp. 308-415). And just like the laird of Zaschwitz plundered the horse trader Kohlhase, the Duke of Montrose plundered the cattle trader Rob Roy MacGregor. Rob had debts with the Duke, as one of his drovers had run away with £ 1000. 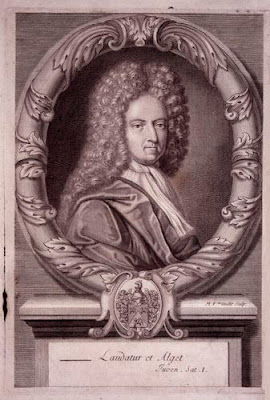 Possibly, scholars of literature thought that Daniel Defoe (c. 1660-1731) had written The Highland Rogue, because he was in Scotland in 1706-08 as an English spy and agent for the Union of Parliaments. But since E.B. was found written beneath the preface of that book, as I mentioned here already, it is more likely that Elias Bockett (1695-1735) wrote it. However, there is no evidence that he was ever in Scotland. The full title of the book goes: The Highland Rogue: or, the memorable actions of the celebrated Robert MacGregor, commonly called Rob Roy (London: J. Billingsley, J. Roberts, A. Dodd & J. Fox, 1723). 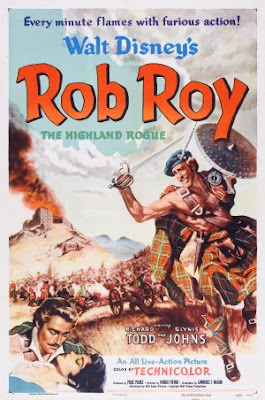 A film was based on this book in 1953, Rob Roy the Highland Rogue, made by Walt Disney Productions, in which the MacLeod sisters, Kitty (1914-2000) and Marietta (1926-83) sang Gaelic mouth music at Rob Roy's wedding. Finlay Currie (1878-1968) was in this film also, as were the lads of the Argyll and Sutherland Highlanders. Tha cuid daoine fhathast den bheachd gur ann air an nobhail Rob Roy le Bhàtair Scott (1771-1832) a bha Rob Roy the Highland Rogue stèidhte, ach tha sin a' sealltainn nach eil na daoine sin air an nobhail eile sin a leughadh idir. Fàsaidh sin na 's follaisiche nuair a bhios mi a' toirt dhuibh dreach na nobhail sin anns na leanas, ach chan eil mi buileach rèidh leis an Rògaire Gàidhealach le E.B. fhathast. Aig àm do dh' Elias Bocaid an Highland Rogue a sgrìobhadh, bha an treas ar-a-mach Seumasach (1719) dìreach air chall. Bha Rob Ruadh air a ghabhail pàirt anns a' chiad ar-a-mach (1689-90) cheana, agus a rèir aithris, bha e an làthair aig Cath Raon Ruairidh. Cha robh e ach òg aig an àm ud, is e ochd bliadhna deug a dh' aois. Cha robh muinntir Ghalltachd na h-Albann idir eòlach air na Gàidheil aig an àm ud, is bha fiù na daoine foghluimte ann am bailtean mòra na h-Albann gu tur aineolach mun dèidhinn anns a' mhòr-chuid. Ged a tha dòigh-beatha nan Gàidheal air atharrachadh gu tur bhon àm ud, chan eil mòran air atharrachadh mun aineolas seo fhathast. Is e 'n diofair gu bheil muinntir nam bailtean mòra an diugh den bheachd gun robh iad eòlach air na Gàidheil, ach mar as minige, chan eil ann an sin ach beachd breugach is faoin. Co-dhiù, fiù ri linn Bocaid is Defoe, fhuaras bunaitean-fiosrachaidh sgrìobhte anns a' Bheurla mu na Gàidheil is an cànan agus an dòigh-beatha, mar eisimpleir A Description of the Western Islands of Scotland le Màrtainn MacGilleMhàrtainn (mu 1660-1718), Gàidheal foghluimte às an Eilean Sgitheanach a bhuineadh ri Clann Mhàrtainn a' Bhealaich. Chaidh a sgrìobhadh mu 1695, ach cha deach a chur am follais gu 1703. Chaidh fiù A Late Voyage to St Kilda leis an aon ùghdar fhoillseachadh roimhe sin, is e air nochdadh ann an 1697. Agus fhuaras a leithid seo de dh' aithisgean-siùbhail is aithisgean eitneolach roimhe sin, mar Description of the Occidental i.e. Western Isles of Scotland le Dòmhnall Rothach (mu 1526-89), is i air a sgrìobhadh mu mheadhon na 16mh linn. Gu deimhinne fhuaras aithisgean eile den t-seòrsa seo eadar an 16mh agus an 18mh linn, m.e. leis an fhear-stàite Sasannach Uilleam Sacheverell (1631-91) a bha an sàs ann an togail stòrais bhon long mhòr Spàinntich ann am bàgh Tobair Mhoire ann an 1688. Ach is e an diofair gur e Gàidheil a bh' ann am Màrtainn Màrtainn agus anns an Àrd-Dheadhan Rothach, is iad a' sgrìobhadh mun dùthaich is am muinntir fhèin anns a' Bheurla. Agus chan ann ri ròlaisdean is ri uirsgeulachd a bha iad, ach ri eòlas cruaidh is fìrinneach. Is e sin dìreach a bhiodh Gàidheil fhoghluimte a' sgrìobhadh gus an latha an diugh, is cha ghabhadh iad ri uirsgeulachd. Cha bhiodh cuid mhòr aca fiù a' luachadh seanchas is uirsgeulachd am muinntreach fhèin mar a bhitheadh iad gan toirt seachad troimh 'n bheul-aithris fad linntean, agus bha luchd na h-eaglaise a bu mhiosa 'sa mhòr-chuid an dìleab seo a dhiùltadh. Cha mheasadh iad beul-aithris an dualchais fhèin àiridh air gabhail a-steach nan cuid sgrìobhaidhean, is iad den bheachd nach robh ann ach stuth faoin is pàganach. Oir chaidh cultar nan Gàidheal a ghoid le daoine dùra dalm-bheachdach nuair a thèirig, no co-dhiù, a chrìon, na sgolairean dùthchasach. Agus mar sin, cha do dh' fhàs rosg uirsgeulach na Gàidhlig gus an 19mh linn, agus air an adhbhar cheana, cha do thòisich Gàidheil a sgrìobhadh uirsgeulan anns a' Bheurla gus an dara leth den 19mh linn. Ach mus do thòisich na Gàidheil fhèin an guth a thogail ann an rosg na Beurla, fhuaras iomadh Gall no Sasannach a sgrìobh mun dèidhinn. Agus aig an aon àm, fhuaras an fheadhainn nam measg a bha a' gabhail orra gur ann mu na Gàidheil a sgrìobhadh iad...Agus bheir mi dhuibh anns na leanas tòrr eisimpleirean de luchd na Gàidhlig a sgrìobhadh anns a' Bheurla a cheart cho math, agus de luchd na Beurla a sgrìobhadh mu na Gàidheil agus mu Gharbh-Chrìochan na h-Albann. Manche Leute glauben noch immer, dass Rob Roy the Highland Rogue auf dem Roman Rob Roy von Walter Scott (1771-1832) beruhte. doch das zeigt, dass jene Leute jenen anderen Roman gar nicht gelesen haben. Das wird noch deutlicher werden, wenn ich Ihnen im weiteren Verlauf die Handlung jenes Romans vorstelle, doch noch bin ich mit dem Hochlandhalunken von E.B. nicht ganz fertig. Als Elias Bockett den Highland Rogue schrieb, war der dritte Jakobitenaufstand (1719) gerade verlorengegangen. Rob Roy hatte schon am ersten Aufstand (1689-90) teilgenommen, und wie man vernimmt, war er zugegen bei der Schlacht von Killiecrankie. Er war nur ein junger Spund zu jener Zeit, gerade achtzehn Jahre alt. Die schottischen Unterländer kannten die Gälen damals überhaupt nicht, selbst die Gebildeten in den Städten wussten in der Mehrheit nichts über sie. Obwohl sich die Lebensweise der Gälen seither grundlegend geändert hat, hat sich an dieser Unwissenheit nicht viel geändert. Der Unterschied ist, dass die Städter heute denken, sie würden die Gälen kennen, doch allzuoft ist das eine blinde Fehleinschätzung. Sei es drum, zur Zeit Bocketts und Defoes gab es schriftliche Wissensquellen in englischer Sprache über die Gälen, ihre Sprache und Lebensweise, zum Beispiel A Description of the Western Islands of Scotland von Martin Martin (c. 1660-1718), einem gelehrten Gälen von der Insel Skye, der zu den Martins von Bealach gehörte. Es wurde verfasst um 1695, aber nicht veröffentlicht bis 1703. Selbst A Late Voyage to St Kilda vom gleichen Autor wurde früher veröffentlicht, es erschien 1697. Und diese Art von Reiseberichten und volkskundlichen Berichten gab es schon vorher, wie A Description of the Occidental, i.e. Western Islands of Scotland von Donald Monro (c. 1526-89), der um die Mitte des 16. Jh. verfasst wurde. Gewiss gab es auch andere Berichte dieser Art zwischen dem 16. und dem 18. Jh., zum Beispiel den des englischen Staatsmanns William Sacheverell (1631-91), der 1688 beauftragt war mit der Hebung der Güter von der spanischen Galleone in der Bucht von Tobermory. Der Unterschied liegt darin, dass Martin Martin und der Erzdiakon Monro Gälen waren, die in englischer Sprache über ihr Land und ihre Landsleute schrieben. Und sie verfassten keine Fiktion, keine Räuberpistolen, sondern Tatsachenberichte. Das war es, was gebildete Gälen bis zum heutigen Tage schrieben, mit Fiktion gaben sie sich nicht ab. Der Großteil von ihnen schätzte nicht einmal die Sagen und Märchen ihrer Landsleute, wie sie mündlich über viele Jahrhunderte weitergegeben wurden, und der Klerus war am Schlimmsten in der Ablehnung dieses Erbes. Sie erachteten die mündliche Überlieferung ihrer Tradition nicht für würdig, sie in ihre Schriften mitaufzunehmen, weil sie es nur für heidnischen Tand hielten. Denn die gälische Kultur wurde von bigotten Langweilern gekapert, als die einheimischen Gelehrten dahinschwanden oder zumindest geringer wurden. Deshalb gedieh im Gälischen keine Fiktion bis ins 19. Jh., und aus dem gleichen Grunde begannen die Gälen nicht bis zur zweiten Hälfte des 19. Jh., englischsprachige Fiktion zu verfassen. Doch ehe die Gälen ihre Stimme in englischsprachiger Prosa erhoben, gab es jede Menge Unterländer und Engländer, die über sie schrieben. Zur gleichen Zeit gab es unter ihnen diejenigen, die vorgaben, über die Gälen zu schreiben...Und ich werde Ihnen im Folgenden viele Beispiele von Gälen präsentieren, die auch in englischer Sprache schrieben, als auch von Englischsprachigen, die über die Gälen und das schottische Hochland schrieben. Some people are still convinced that Rob Roy the Highland Rogue was based on the novel Rob Roy by Walter Scott (1771-1832), but that shows that yon folk have not read that other novel at all. That will become clearer when I shall introduce you to the plot of that novel, but I am not quite done with the Highland Rogue by E.B. yet. When Elias Bockett wrote The Highland Rogue, the third Jacobite uprising (1719) had just been lost. Rob Roy had already taken part in the first rising (1689-90), and as the word goes, he was present at the battle of Killiecrankie. He was but young at that time, and he eighteen years old then. The Lowlanders did not know the Gaels at all in yon time, and even the learned in the cities were ignorant about them for the most part. Although the way of life of the Gaels has changed considerably since then, not much has changed about this ignorance yet. The difference is that the people in the cities today hold the view they knew the Gaels, but more often than not that is but a false and vain idea. Anyway, in Bockett's and Defoe's time there were written sources available in English about the Gaels, their language and their way of life. such as A Description of the Western Islands of Scotland by Martin Martin (c. 1660-1718), a learned Gael from the Isle of Skye who belonged to the Martins of Bealach. It was written in 1695, but not published until 1703. Even A Late Voyage to St Kilda by the same author was published earlier, it appeared in 1697. And this kind of travel reports and ethnological reports existed earlier than that, such as A Description of the Occidental, i.e. Western Islands of Scotland by Donald Monro (c. 1526-89) which was written around the middle of the 16th century. Certainly, there were other reports of this sort between the 16th and the 18th century, e.g. the one by the English statesman William Sacheverell (1631-91), who was appointed to recover goods from the Spanish galleon in Tobermory Bay in 1688. The Difference is that Martin Martin and the Archdeacon Munro were Gaels who wrote about their country and their kinsfolk in English. And it was not tall tales or fiction they would write, but hard and true facts. That is what learned Gaels would write until this very day, not bothering with fiction. The majority of them would not even appreciate the tales and legends of their people as they would be passed on orally for many centuries, and the clergy were the worst in refusing this heritage. They would not deem the oral tradition of their culture worthy to adopt it into their writings, as they merely regarded it as pagan and vain stuff. For the Gaelic culture was hijacked by dour bigots when the indigenous intellectuals vanished, or rather, dwindled. Therefore, no fiction (in the modern sense) would arise in the Gaelic until the 19th century, and for the same reason, the Gaels would not begin to write any English language fiction until the second half of the 19th century. But until the Gaels began to raise their voice in English language prose, there were many Lowlanders and Englishfolk who would write about them. At the same time, there were those among them who pretended to write about the Gaels...And I shall present ye many examples in the following of Gaels writing in English as well as of English speakers who wrote about the Gaels and the Scottish Highlands. Is e Gàidheal Eòrpach a bh' ann am Màrtainn MacGilleMhàrtainn, agus chan fhaighte ann an dùthaich a mhuinntreach is a shinnsearachd e gu minig ri bheò. Fhuair e ceuman bho Oilthigh Dhùn Èideann (MA, 1681) agus Oilthigh Leyden (MD, 1712). Ach bho 1681 gu 1695, bhitheadh e na oide do dh' oighrean Clann Uisdein, Dòmhnall a' Chogaidh († 1720), is Sìol Thormaid, Ruairidh Òg (1674-95). Mar a chithear, shiùbhail Ruairidh Òg nuair a bha e fhathast òg, agus an dèidh a bhàis dh' fhàg am Màrtainneach an t-Eilean Sgitheanach agus chaidh e don Talamh Iseal, no don Olaind, mar a theireadh cuid. An dèidh sin, chaidh e a Lunnainn. Rè na h-ùine sin, bhiodh e a' tadhail air eileanan a dhùcha o Lunnainn. Nuair a chaidh iomradh-siùbhail Innse Ghall a chur am follais ann an 1703, cha d' fhuair e airgead air a shon agus thill e don Eilean Sgitheanach làn brisidh-dhùil. Ghabh e cothrom-cosnaidh mar oide Dhòmhnaill Dòmhnallach Shlèite a ghairmte Dòmhnall a' Chogaidh, ach cho luath 's a fhuair e fios gun robh e chun airgead fhaighinn bho riaghaltas Shasainn airson a leabhair mu dheireadh thall, thill e a Shasainn. Chuir e seachad dà bhliadhna eile anns an Olaind mar oide Sheòrais MhicCoinnich, mac Fhir Dhealbhna. Ann an 1710, chlàraich e fhèin mar oileanach eòlais-leighis aig 41 bliadhna a dh' aois. An dèidh dhà ceumnachadh ann an 1712, thill e a Shasainn far am biodh e ag obair mar lighiche ann an teas-mheadhon na dùthcha sin. Ann an 1716, dh' fhoillsich e eagran ùr den iomradh air Innse Ghall, ach shiùbhail e dà bhliadhna an dèidh sin ann an Lunnainn, fada o dhùthaich a shinnsear (D.U. Stiùbhart, DNB 2004; dreach air-loidhne, 2008; f.c. R.S. MacThòmais, 1994: td. 197, agus Teàrlach Withers, Roimh-Ràdh, ann an: M. MacGilleMhàrtainn, A Description of the Western Islands of Scotland (Dùn Èideann: Bìrlinn Earr., 2001), tdd. 2-11). Is e sagart Caitligeach a bh' ann an Dòmhnall Rothach o thùs, is e air Pròsdanachas a ghabhail a-steach mu 1560 mar a rinn tòrr d' a mhuinntir, Clann Tighearna Fòlais. Rinneadh ministear Chill Tighearna dheth an dèidh sin, ach theirte 'Àrd-Dheadhain Innse Ghall' ris fhathast, is e sin an inbhe a bh' aige anns an eaglais Chaitligich mus do thionndaidh e gu bhith na Phròsdanach. Roimhe sin, bha e na bhiocair ann an Snìosort ann an Tròndairnis an Eilein Sgitheanaich, agus bhiodh e a' frithealadh an Ratharsair aig an aon àm. Chan eil fios an diugh air cò dhà a sgrìobh e 'n aithisg a chuireadh am follais mu 1549, ach tha e cosmhuil gur ann do chlèirich eile a chuir e seo ri chèile - gu h-àraidh don fheadhainn nach robh cho eòlach air sgìreachd-easbaig Innse Ghall. 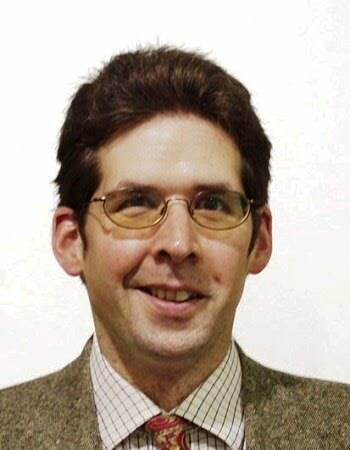 Agus is i an aithisg seo a' chiad tè d' a seòrsa a chaidh a chur ri chèile a rèir fiosrachaidh a fhuair ùghdar troimh chuid siùbhal fhèin (Iain Grimble, ann an R.S. MacThòmais, 1994: td. 204; R.U. agus Sìne Rothach, DNB 2004; R.U. Rothach, Roimh-Ràdh, ann am: Màrtainn, 2001: tdd. 291-97). Ein europäischer Gäle war Martin Martin, und man fand ihn nicht oft in der Heimat seiner Leute und Vorfahren zu Lebzeiten. Er erhielt akademische Grade von der Universität zu Edinburgh (MA, 1681) und der Universität zu Leyden (MD, 1712). Doch von 1681 bis 1695 wirkte er als Tutor der Erben der MacDonalds von Sleat, "Donald vom Kriege" († 1720), und der MacLeods von Dunvegan und Harris, "Ruairidh der Jüngere" (1647-95). Wie man sieht, segnete der jüngere Ruairidh bereits das Zeitliche, als er noch jung war, und nach seinem Tode verließ Martin die Insel Skye und begab sich in die Niederlande, oder nach Holland, wie manche sagen würden. Danach ging er nach London. Während jener Zeit bereiste er seine heimatlichen Inseln von London aus. Als seine Reiseerzählung von den Hebriden 1703 veröffentlicht wurde, erhielt er dafür kein Geld und kehrte enttäuscht nach Skye zurück. Er nahm eine Stelle als Tutor des Donald MacDonald von Sleat an, der "Donald vom Kriege" gerufen wurde, doch sobald er erfuhr, dass er nun endlich von der englischen Regierung Geld für sein Buch erhalten sollte, kehrte er nach England zurück. Er verbrachte zwei weitere Jahre in Holland als Tutor des George MacKenzie, Sohn des Herrn von Delvine. 1710 matrikulierte er selbst mit 41 Jahren als Student der Medizin. Nach seiner Graduation 1712 kehrte er nach England zurück, wo er in Middlesex als Arzt praktizierte. 1716 veröffentlichte er eine neue Auflage seines Berichts von den Hebriden, doch zwei Jahre darauf verstarb er selbst in London, fern vom Lande seiner Väter (D.U. Stiùbhart, DNB 2004; Onlineversion, 2008; s.a. D.S. Thomson, 1994: S. 197; und Charles W.J. Withers, Vorwort, in: M. Martin, A Description of the Western Islands of Scotland (Edinburgh: Birlinn Ltd., 2001), S. 2-11). Donald Monro war ursprünglich ein katholischer Priester, der 1560 zum Protestantismus konvertierte, wie es viele seiner Leute, der Munros von Fowlis, taten. Man machte ihn danach zum Pfarrer von Kiltearn, doch nannte man ihn noch immer 'Erzdiakon der Hebrideninseln', nach dem Status, den er in der katholischen Kirche innehatte, bevor er zum Protestantismus konvertierte. Zuvor war er Vikar in Snizort in Trotternish auf Skye gewesen, und gleichzeitig wirkte er auf Raasay. Man weiß heute nicht, für wen er den Bericht, der um 1549 veröffentlicht wurde, schrieb, doch es ist möglich, dass er ihn für andere Kleriker verfasste - vor allem für jene, die mit der Diözese der Inseln nicht so vertraut waren. Und dieser Bericht ist der erste seiner Art, der nach persönlichen Reisebeobachtungen des Autors verfasst wurde (Ian Grimble in D.S. Thomson, 1994: S. 204; R.W. und Jane Munro, DNB 2004; R.W. Munro, Vorwort, in: Martin, 2001: S. 291-97). An European Gael was Martin Martin, and he would not often be found in the homeland of his people and forefathers in his lifetime. He received degrees from the University of Edinburgh (MA, 1681) and the University of Leyden (MD, 1712). But from 1681 to 1695 he served as tutor to the heirs of the MacDonalds of Sleat, "Donald of the War" († 1720), and the MacLeods of Dunvegan and Harris, "Ruairidh the Younger" (1647-95). As anyone will see, "young Ruairidh" passed away when he was still young, and after his death Martin left the Isle of Skye and went to the Netherlands, or to Holland, as some would say. Thereafter, he went to London. During that time he would travel his native isles from London. When his travel narrative from the Hebrides was published in 1703, he did not receive any money for it and returned to Skye full of disappointment. He took service as tutor to Donald MacDonald of Sleat who would be called "Donald of the War", but as soon as he learned that he was to receive payment from the English government for his book after all, he returned to England. He spent two further years in Holland as tutor to George MacKenzie, the son of the laird of Delvine. In 1710 he matriculated himself as a student of medicine at 41 years of age. After his graduation in 1712 he returned to England where he practised as a physician in Middlesex. In 1716, he published a new edition of his travel narrative from the Hebrides, but two years later he passed away himself in London, far away from the land of his fathers (D.U. Stiùbhart, DNB 2004; online version, 2008; s.a. D.S. Thomson, 1994: p. 197; and Charles W.J. Withers, Foreword, in: M. Martin, A Description of the Western Islands of Scotland (Edinburgh: Birlinn Ltd., 2001), S. 2-11). Donald Monro was originally a Catholic priest who converted to Protestantism in 1560, as did many of his people, the Munros of Fowlis. He was then made the minister of Kiltearn, yet he would still be called the Archdeacon of the Isles, for thus was the status he held in the Catholic church before his conversion to Protestantism. Before that, he had been vicar in Snizort in Trotternish in Skye, and at the same time he served in Raasay. It is not known today for whom he wrote the report that was published about 1549, but it is likely that he compiled it for other clerics - especially for those not so familiar with the diocese of the Isles. And this report is the first of its kind which was compiled according to the personal travel observations of the author (Ian Grimble in D.S. Thomson, 1994: p. 204; R.W. and Jane Munro, DNB 2004; R.W. Munro, Foreword, in: Martin, 2001: p. 291-97). Air an ath-dhuilleig, bheir mi dhuibh am fear as ainmeile am measg ùghdarran Albannach an 18mh linn, ged nach e seo a' chiad agus an aon iomradh a nì mi air air an làrach-lìn seo. Cò e ach Seumas Bàn MacMhuirich (1736-96), ùghdar Oisein agus sgrìobhaidhean eile stèidhte air seanchas na Fèinne ? Auf der nächsten Seite präsentiere ich Ihnen den berühmtesten unter den schottischen Autoren des 18. Jhs., obwohl dies nicht seine erste und einzige Erwähnung ist, die ich auf dieser Website mache. Wer ist es, wenn nicht James MacPherson (1736-96), der Autor des Ossian und weiterer Schriften, die auf dem Sagenzyklus über die Fenier beruhen ? On the next page, I will present you the most famous among the Scottish authors of the 18th century, though this is not the first and the only mention I make of him on this website. Who is it but James MacPherson (1736-96), the author of Ossian and other writings based on the traditional narratives of the Fians or Fenians ?